How much time must you commit to exercise for it to be effective? This is obviously dependent on your goals, but a recent study found health benefit in as little as 5 minutes a day. Now, I’m not suggesting you cut all your workouts down to 5 minutes, but if you constantly talk yourself out of exercise because you’re short on time, it seems anything is better than nothing. 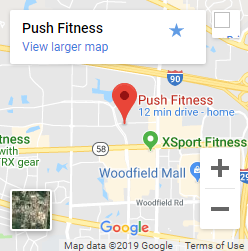 Our workouts at Push Fitness are 45 minutes, but much of the exercise homework we prescribe to our clients is typically 30 minutes or less. The following is a sample workout we’ve prescribed that should only take you 15-20 minutes and uses minimal equipment for increased proficiency. Warm-up. 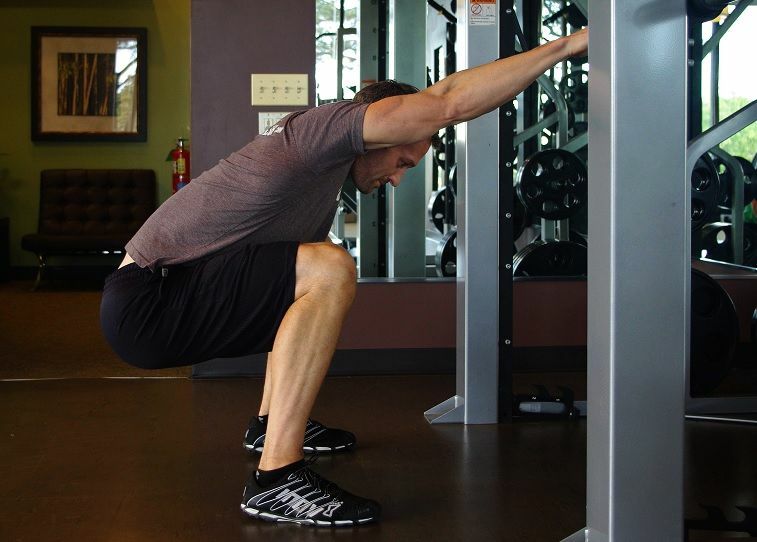 Begin your workout with a 5 minute warm-up protocol. This could be anything from walking to jumping rope. Steadily increase your heart rate for the first 3 minutes and then stabilize or bring it back down slightly for the final 2. 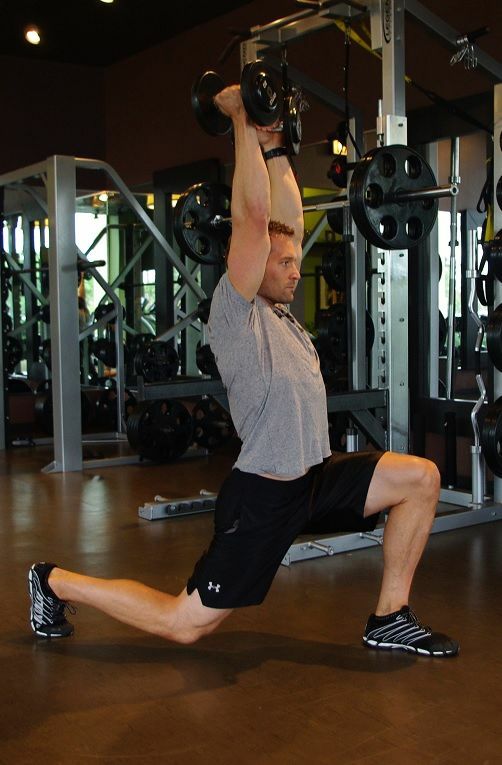 The following 4 exercises should be completed circuit style – perform all 4 in a row and then repeat for 3 total rounds. For the first round you’ll perform each exercise for 20 seconds, the second round for 30 seconds, and the third round for 40 seconds. Rest when needed but push yourself to keep moving. Squat to Dumbbell Press. Hold of a set of dumbbells at shoulder height with palms facing together. With feet shoulder width apart, squat down to a comfortable depth while making sure your heels stay planted on the floor. Stand up, exhale, and press the dumbbells overhead. As your arms near extension, pull your shoulder blades back and together to stabilize at the top. 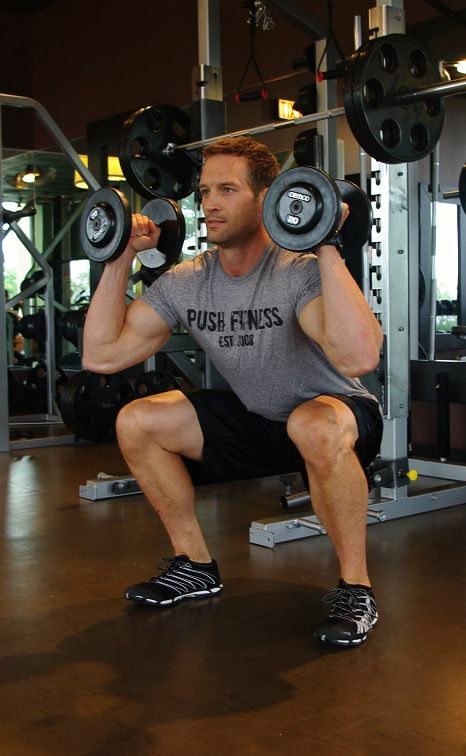 Bring the dumbbells back down to shoulder height and drop back into your squat position. Repeat for the appropriate time. Plank Hold. Assume a plank positon with elbows bent 90 degrees and positioned directly under your shoulders. You are looking to maintain a straight line from your ears, through your shoulders and hips to your ankles. Maintain a slight natural curve in the low back and keep your knees unlocked. Tense your abdominals inward towards your spine and continue to breathe as you hold the position for the desired time. If this basic plank is too easy, raise one leg or extend one arm out in front of you. Lunge with Arms Overhead. Grab a set of dumbbells and press them overhead and lock out your arms. Step back into a staggered stance but keep about 60% of your weight on the front leg. Bend both knees equally as you inhale and let your hips drop straight down, pausing when you have a 90 degree bend at each knee. Tighten your legs and hips as you exhale and step back to your starting position. Repeat on the other leg and continue alternating legs for the desired time. Pushup. Assume a pushup position with hands slightly wider than shoulder width. Tighten your core, and make sure you have a straight line from shoulder to ankle. As you inhale, slowly bend your elbows and let your body drop down until you have a 90 degree bend at each elbow. Exhale as you push back to your starting point. Repeat for the appropriate time. You can make the pushup easier by elevating yourself on a bench or pushing off from your knees rather than your toes. 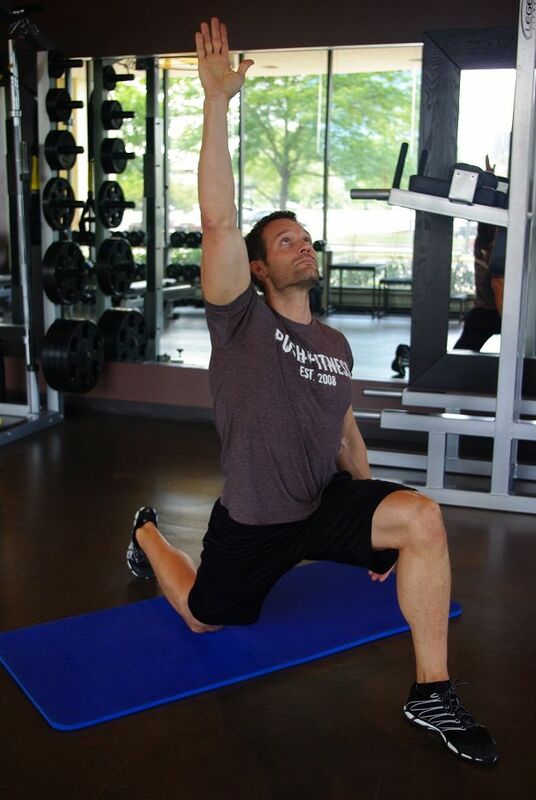 After your third round, recover for a minute and then perform at least two minutes of cool-down stretching. The following 3 stretches will target tight areas of the hips, legs, back, and shoulders. So if your schedule is tight and you’re short on time, even 15-20 minutes of exercise is time well spent.